Each page of the book is meticulously hand folded (by me) and made to order. 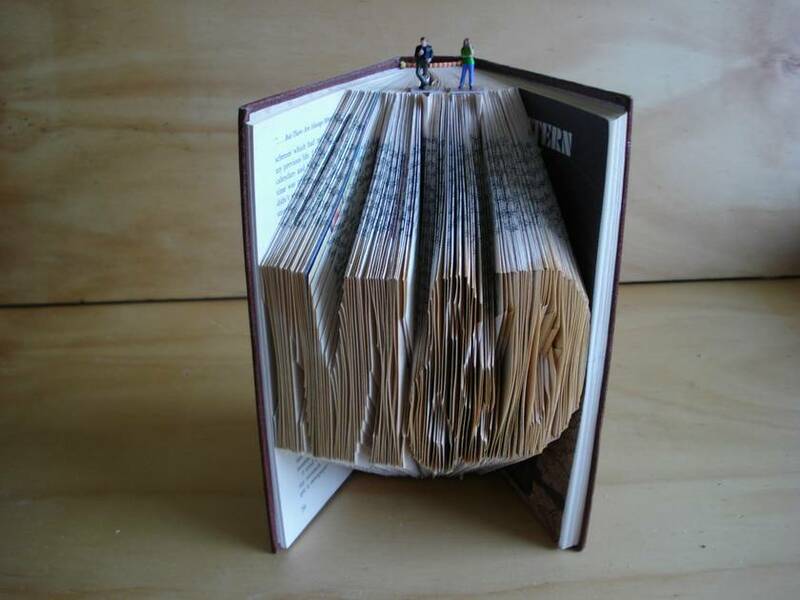 The result is beautiful book sculpture that can be displayed anywhere! This piece displays two custom initials separated by an & and is a custom book made to order. Just specify when placing the order which initials you would like for the book. •	or any other occasion you can think of. These make great unique gifts, and are good conversation starters if they're displayed around the house. I use randomly chosen books from my stock. The book you'll receive will look like the one on the picture, but may differ in cover color, as each book is created to order. Contact noracsalad to enquire about payment or shipping options.